You don’t have to be in the gym with Simon in order to get the personal training he offers. 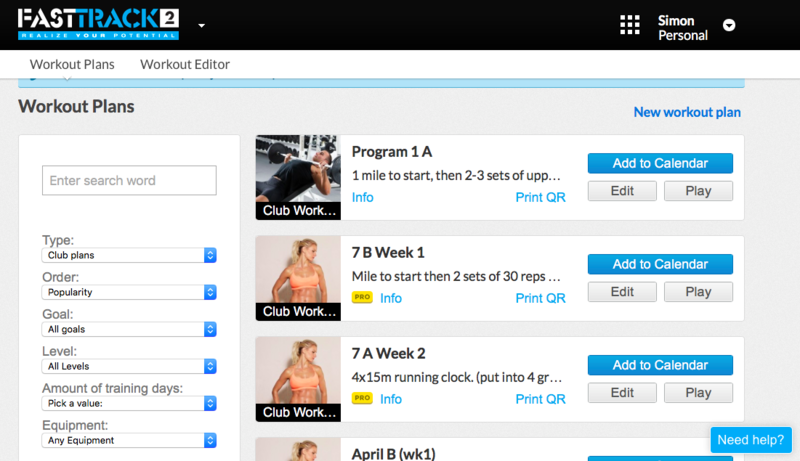 Introducing our new digital platform for at home training and wellness. You want high-quality exercise programs and lots of choices. But you don’t want to spend hours on training plans. Even when you can’t make it to the gym, FastTrack2 can provide you with professionally-developed and custom tailored workouts via Virtuagym. We know it’s not easy to do on your own. 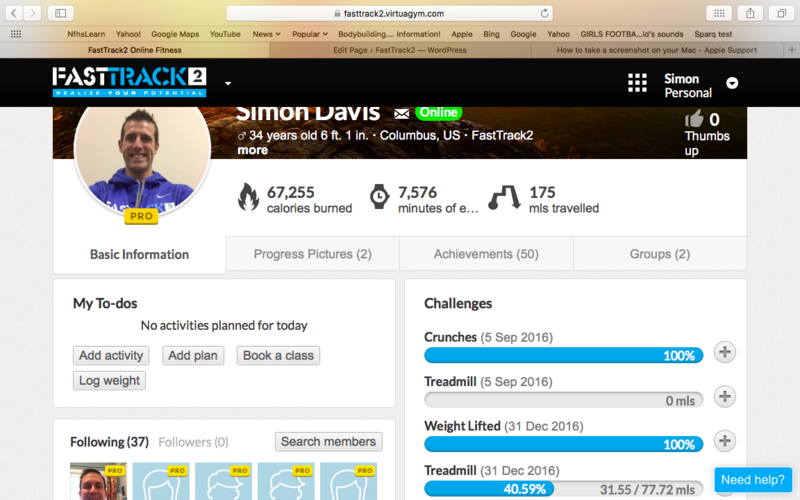 Let FastTrack2 help you determine the best way to reach your fitness goals, make sure you’re doing each workout successfully and more. For only $50 a month you can get access to all our programs at FastTrack2 and train anywhere in the world. No need to worry about FastTrack2 being too far away, as it will always be right there on your phone ready to go.